The Japanese firm is increasing production capacity to keep up with demand. Toyota is upping its production capacity for hydrogen-powered cars after the company announced that it expects hydrogen car sales to increase ten-fold from 2020. 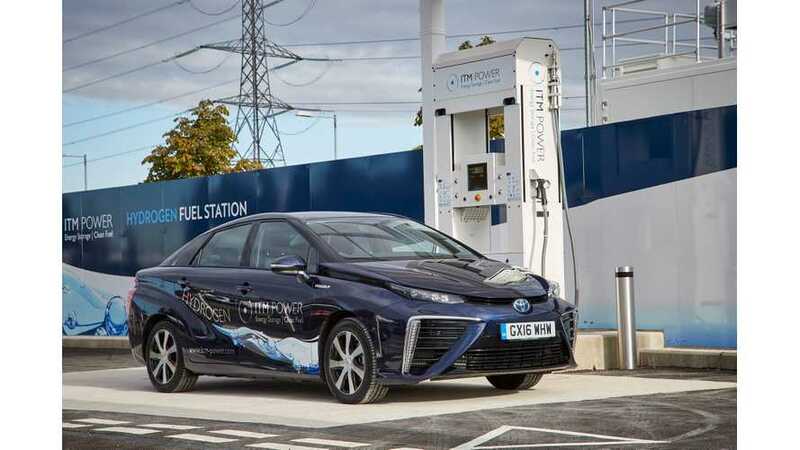 Whereas global sales of hydrogen fuel cell vehicles currently stand at around 3,000 a year, Toyota has said that it expects more than 30,000 hydrogen vehicles to be sold annually during the 2020s. As a result, the company has unveiled plans for two new factories in Japan, which will build fuel cell stacks and high-pressure hydrogen tanks. Production of the company's fuel cells for its hydrogen-powered cars will move to a new eight-floor facility situated in the Japanese firm's Honsha plant, near Nagoya, while the tanks will be built in the nearby Shimoya factory. Construction is already underway, with the Honsha facility awaiting its interior fitting while the Shimoya plant is still being built. Both factories are expected to open around 2020. At present, Toyota’s only hydrogen car is the Mirai saloon, which is sold in the UK and 10 other markets. Although it arrived on British shores in 2015, few of the £60,000-plus four-doors have been sold, mainly due to a lack of hydrogen filling infrastructure. The firm also makes a hydrogen-powered bus called the Sora, which is sold in its home market of Japan. According to Toyota, increased manufacture of the fuel cells and tanks will be vital in making hydrogen fuel cell cars more affordable.